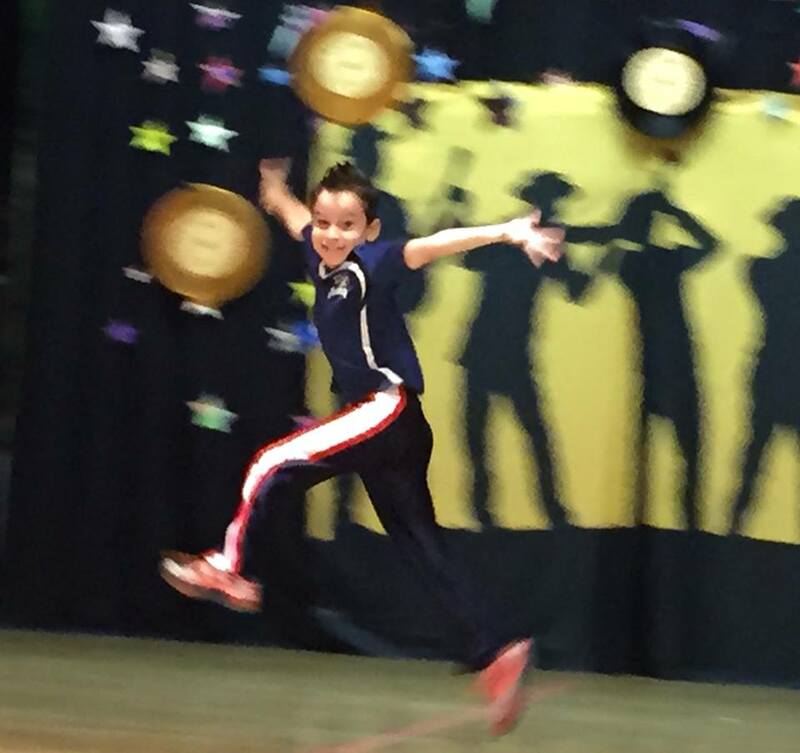 A friend of mine posted a photo of her 8-year-old son leaping across a stage, his face lit up with joy. JOY! The expression on his face thrilled me. He wasn’t just smiling. He was beaming! His eyes were smiling. His eyebrows were smiling. His whole body was smiling. His arms were open wide and radiating energy. The photo caught him in mid-air, a feat in and of itself. There was not a speck of self-consciousness. Just pride and joy in his body, the feeling of movement, the pure fun of performing with others. I knew just how he felt and I laughed out loud with joy. So happy for him and his mom. Dancing is so much fun. Especially leaping and flying through the air. Her son was participating in a program at his school run by the National Dance Institute. NDI programs are offered in public schools impacting 40,000 students annually. They offer classes and workshops that end in a performance experience, with a mission of introducing all kids to dance and engaging them in the arts as a way of learning how to collaborate, work towards a goal, and perform. If anyone doubts the value of arts in education, just look at this photo! I felt inspired and absolutely fierce about defending the role of arts in our world. My friend confided that her son loves to dance and that she was so appreciative of the NDI program for giving her son an outlet to express himself through dance. She is grateful that the program continues for another year. What’s next went unspoken. But as a dancer and a mother of a son, I took the leap. What’s next is that most boys are not encouraged to dance in our culture. It’s not manly enough nor lucrative enough. No, our manly heroes are sports figures, tech wizards, and movie stars (who all have dance training, btw.) I must say, though, that I do see this changing. Grateful. If music is as old as culture, surely moving to music is equally old. Dancing is fun and expressive, a way to connect with others. You can tell stories with dance. You can celebrate rites of passage with dance. You can show someone you love them by dancing with them. One of our family traditions is to blast the Beatles Birthday Song on birthdays and dance wildly and joyfully. When my son was younger, he would insist on playing it over and over again so we would keep dancing. It wasn’t every day he got to see his mom dance wildly and joyfully. What happens to that wild and joyful dancing? As we grow up we are rewarded for A’s and other achievements deemed socially worthy. The playful moments become fewer and their importance is minimized. The 8-year-old boy becomes a 15-year-old-boy with increasing amounts of homework and pressure to get good grades and pursue resumé-building activities that will help him get into college. Of course there are many ways to feel joy besides dancing with abandon. There are the physical feats, that may involve a bit of speed or fear or adrenalin to catch that thrill. We may avoid the fear of doing that cartwheel or leaping across that stage. Or, perhaps worse, we may confuse physical joy with an adrenalin rush and require more and more intensity to get the adrenalin to kick in. But you don’t need adrenalin or fear to find joy. Singing or playing music, sitting quietly in nature, looking a loved one (or a loved animal) in the eyes. Connecting. What struck me about this wonderful photograph is that I realized I rarely see this joy on my 15-year-old’s face any more. Somewhere around puberty, that childish lack of self-consciousness and joyful abandon has been replaced with a desire to fit in and a host of emotions related to the pressure to get good grades. A combination of worry and striving mixed with procrastination and some teenage remoteness are more common expressions. As I spend my midlife wondering where the joy went and how I can get it back before it is too late, I seem to be dutifully knocking it out of my son so that he can be “successful.” This has to stop! I would give anything to see my son’s face and body light up with joy. What a gift that would be! Instead of killing the joy, I must help him to find his joy. It would probably help if I set a good example by playing, having more fun, and enjoying my own joyful moments, eh? Lately, we’ve been lax with playing “Birthday.” The next family birthday is, ahem, my son’s 16th. It will be a wonderful occasion for some wild and joyful dancing. Photo Credit: Photo by Suzanne Pappas Quint of her 8-year-old son leaping with joy. I’m feeling a bit subdued this mother’s day. Kind of dreading the cheerful saccharine. Not sure the world needs another mother’s day post. What about all the people who have difficult relationships with their mothers? What about all the people who have lost their mothers? What about all the people who want children but can’t or won’t? What about the women around the globe dying because of poor maternal healthcare? Better to spend the money allocated to mother’s day gifts to helping women and girls around the world. Better to spend the time spent shopping for those mother’s day gifts with people you love. Basking in their presence. My friend just told me about a student of hers, a high school senior, whose mom is dying of cancer. He is spending mother’s day weeping. It makes me cry. This young man is still a boy. What must this woman be going through? 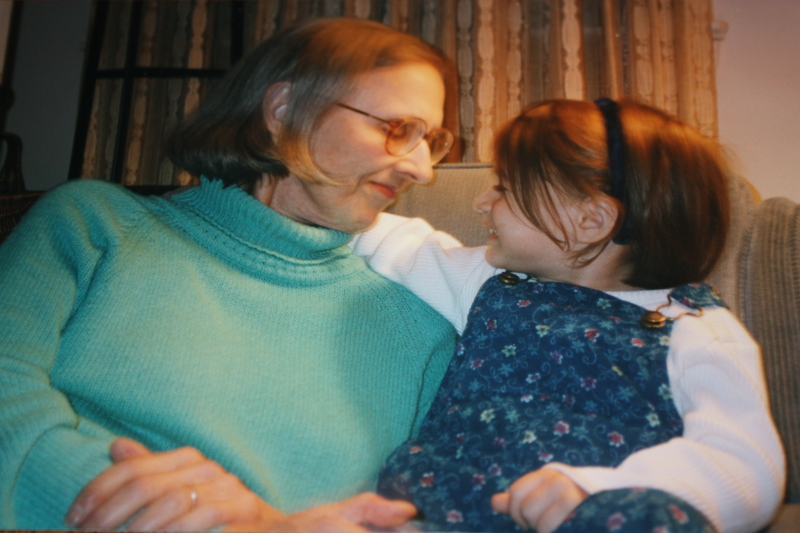 What is it like to know you are dying and to be saying good-bye to your children? I can’t imagine! Well, actually, I can imagine. Sigh. Can’t I just enjoy a nice mother’s day without ruining it with questions and angst? I am so lucky. I want for nothing. I’m like ridiculously happy that we have a new garbage disposal. We’ve spent the last year (or more) finagling the old broken one. We had a system. My husband would go downstairs and turn on the electricity. Then I would plug it in and let it grind. Then he would turn off the electricity. Then I would unplug the whole contraption. All while yelling up and down at each other. I’m like incredibly relieved that it didn’t cost $1,000 to fix the minivan with 120,000 miles on it. Come on Honda! You can make it to 200,000 miles and a couple more trips with dormloads of stuff. I’m like ecstatic and at peace now that my daughter is home from her first year of college. I really don’t want anything. Theater tickets are always on my list though. My husband wants to buy me a tree, but the yard feels as cluttered as the house. Maybe next weekend I’ll feel the urge to plant. All I want today is a day with no errands and chores. And to feel loving presence. I remember carefully making handmade cards for my mother and picking flowers (aka weeds) for her. When I got older I would bake something special for her. When I no longer lived at home nor near enough to visit easily, I would buy her a nice card, send her flowers or a book, and call her, of course. She always seemed thrilled with whatever tidbit I gave her. She completely understood that I was busy busy busy. Never did she say: “Why don’t you visit me more often? Please come visit me!” Did she not think that? Do I wish she had said that? Shaken me and knocked some sense into me: “Life is short! Stop being so busy busy busy! Come visit me dammit!” But no, she would never have said that. My dad is very lonely. He deeply misses her presence in the house. He sometimes expresses surprise that I am not more grief-stricken. Me too. But I have mourned her loss for years. She faded to such a shell of herself over the last decade of her life. I was always wondering when she was going to die. It was a relief when she died. Finally. This is how she dies. Now we know. This is how we go on without her. This is it. Life. Flying by. Busy busy busy. Until we die. Her presence. It’s true. Even as she faded away, her presence still permeated the house. When I did visit, her face would light up and she would forget that she was 92 and forget that she needed a walker and would try to get me food (always food!) or other items I might need or want. Sometimes I see an old woman who reminds me of her. I smile and send her love. When I slow down enough to breathe, to concentrate, to remember, I can conjure her presence. I feel her. I feel all the women who have touched me, helping me to become who I am. The teachers I idolized. The babysitter I wanted to be. The other moms, my friends’ moms, especially Margie, all unique and different from my mom, adding their own perspectives on how to be a woman. Later, it was my friends who were my teachers. A community of women all worth honoring and celebrating this mother’s day, even if they weren’t or aren’t moms. It is my own children who have taught me the most about how to be a mom. Their wisdom, their neediness, their resilience, their intuition, their amazing love for me and my breathtaking love for them that has taught me that life is short. Be less busy. We are past the stage of handmade cards and weed bouquets. But my children are home. I am basking in their presence, feeling my mom with me and all the women who have been moms and mentors to me. Soon enough my children will be grown up and no longer living at home. And if they don’t visit me, well, then, I just might have to visit them.